You may know I’ve been called the anti-cardio guy before, but this week I’m back posing the question to you… Do you really need cardio training to get lean and in great shape? By the way, you’ll see in a minute that I’m not really “anti-cardio”, just “anti traditional cardio”. Most fitness buffs, weekend warriors, or anyone trying to get in shape or lose body fat, consider it a fact that they need “cardio” exercise to accomplish these goals. They would never even question it. 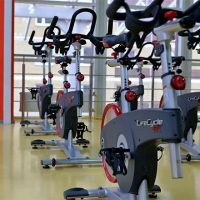 Most people would consider cardio to be pumping away mindlessly on a treadmill, riding a stationary bike, or coasting on an elliptical machine, while watching the TV screen at their state of the art gym. This is what I call “traditional cardio”. Hmmm, no wonder the majority of people get bored with their workouts and give up after a couple months without seeing results. But if you look closer, “cardio” exercise can be considered any type of exercise or activity that strengthens the cardiovascular system. I’m not going to get into anything technical like increasing your VO2 max or anything like that. To keep it simple, if it gets your heart pumpin, and gets you huffin and puffin, it’s cardio. I don’t care if you’re holding dumbbells or a barbell and everyone calls it a weight training exercise…it’s still conditioning your heart. Let’s take a look at a couple examples. Take a barbell (or dumbbell, or kettlebell) clean & press for example, which involves lifting a barbell from the floor up to shoulders, then push pressing overhead. And listen up ladies, because even though this is usually seen as a manly exercise, it doesn’t matter if you’re not lifting 250 lbs; if 45 lbs is challenging to you, then you will still benefit just as much. At first glance, most people think of the barbell C&P only as a weight training exercise or strength exercise. However, I challenge you to do a hard set of around 10-15 reps on the C&P. If you used a challenging enough weight, what you’ll find is that your heart rate is probably up to about 80-90% of your recommended max, and you are huffing and puffing like you just ran a 100-meter sprint (which by the way, sprinting kicks the crap out of jogging any day if you want the easiest way to lose the flab). Try the same thing for a set of 20 reps of one-arm snatches or swings with each arm with a kettlebell or dumbbell, and tell me your legs aren’t burning, heart racing, and you’re gasping for breath. How about trying 5 minutes straight of bodyweight squats, lunges, and pushups with very little rest. Again, notice your heart pounding, sweat pouring off of you, and chest heaving for breaths! Try and tell me you’re not conditioning your heart with this style of training! Conventional thinking says that these are weight training or strength training exercises. However, they are fullfilling your cardio workout needs as well (saving you time!). 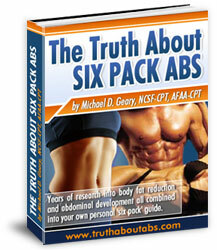 I challenge you to give the “traditional cardio” a rest for a month or two, and start training the way I explain in my internationally-selling Truth about Six pack Abs Program, and see how you start getting leaner, more defined, and your six pack starting to show through what used to be stubborn stomach fat deposits. If you’re interested in more reading about the topic of cardio training and better alternatives, here’s an interesting cardio article I wrote previously. Great post about cardio. I like how you mention the importance of increasing your overall oxygen intake. Most people don’t think of that unless they’re serious about improving their cardiorespiratory health, but its essential for everyone wanting to decrease their risk of chronic disease, not just deconditioned individuals. 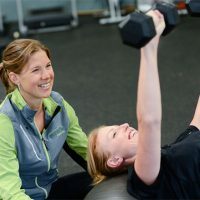 As I was reading this post, the word “circuit” kept popping into my head, because if you are overweight and working with a personal trainer, that is probably the sort of resistance training set style you will be doing. Traditional cardio isn’t for everyone. 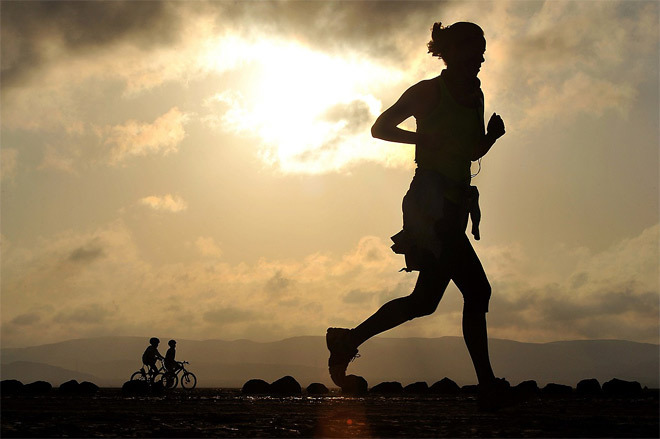 Most people practice some disassociation like watching something on a screen or running in the park. As long as you are doing some oxygen intensive workout to increase your overall fitness levels, traditional or not, you’ll be in better shape than you were when you started.